In the fall of 1938, a handful of believers seeking to do the will of God sensed that the time was right for a new beginning… a time to form a new Southern Baptist Church. On Sunday, Sept. 4, 1938, forty-nine members of the South Highland Mission, sponsored by the First Baptist Church of Longview voted to form the South Side Baptist Church. The church was pastored by Lester C. Bell until Reverend C. L. Porter was called as the permanent pastor and began his duties on October 9, 1938. Under Rev. Porter’s leadership, the church grew and rooms were added to the small frame building. Before long the church’s leaders realized that in order to meet the needs of a growing young congregation, land would be needed for continued expansion. 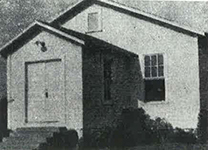 In 1942, the church purchased property on Mobberly Avenue and changed the name of the church to Mobberly Avenue Baptist Church. As World War II came to an end in 1945, the first sanctuary was completed. In 1952 an education building was added and in 1957 a second sanctuary was completed. Reverend Porter served as pastor until 1961. The church entered a new phase of growth with the coming of Reverend Barney Walker serving as pastor. In 1963, a children’s building was completed containing a nursery and educational facilities for children through sixth grade. By 1964 the church had grown from 80 charter members to over 1,800 members. Rev. Walker served as pastor until 1966 and Reverend J. Dalton Havard served as pastor from 1967 – 1969. In March of 1970, Dr. Laney Johnson was called as pastor of Mobberly Baptist Church. Under his guidance the church continued to grow and reach people, fulfilling “The Great Commission” of Matthew 28:19-20. This growth resulted in plans to develop a satellite church. The dream became a reality when the church broke ground on Oct. 5, 1980, at a new location on Loop 281 on the north side of town. 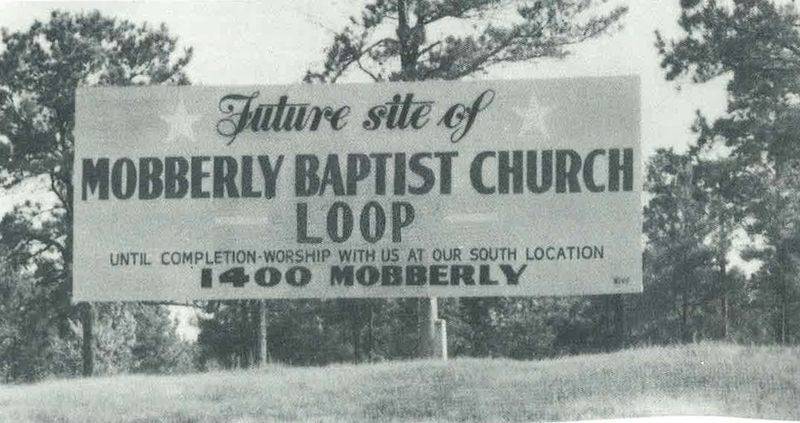 On March 6, 1981, the church officially changed its name from Mobberly Avenue Baptist Church to Mobberly Baptist Church and became “one family meeting in two locations.” The expansion of the loop facilities continued with the addition of a preschool & children’s building in 1986. In the fall of 1991 ground was broken for the construction of a new worship center at the Loop location. With the sale of the Mobberly Avenue property, a new era for the church began on Sept. 13, 1992, when the church’s congregation reunited again meeting under one roof. 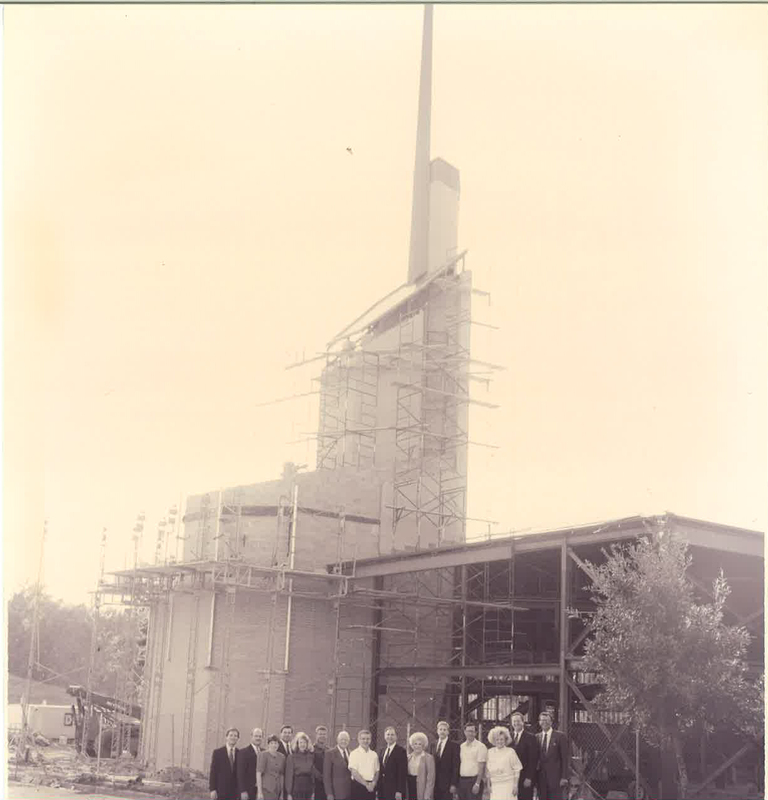 In July 1993, the reunited congregation celebrated God’s blessings and moved into the new worship center. A Senior Adult and Administration building was opened in Feb. 1999. Mobberly continued to reach people for Christ. By the year 2000 church membership had climbed to over 3,000. 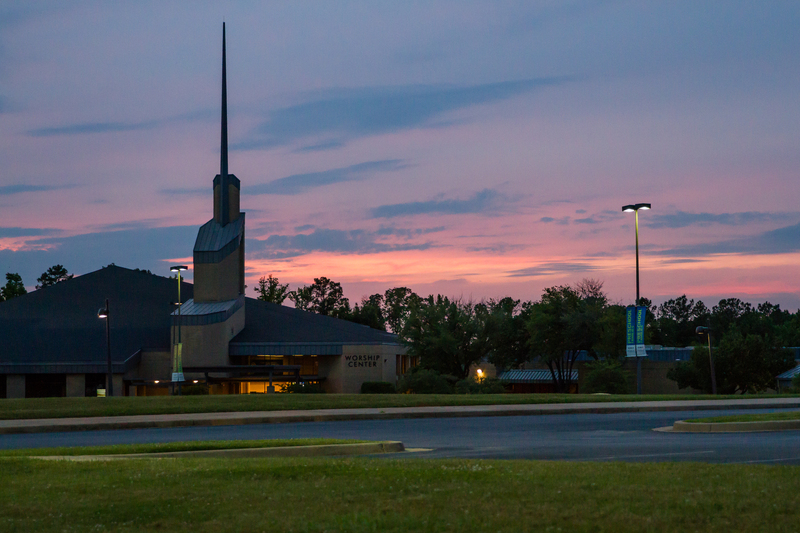 The church was blessed to continue adding acreage, resulting in a 52-acre campus. The Planning and Building Committee led in the development of a master plan for the campus to guide through the years ahead. In 2005, Elevation, a 25,000 square foot complex for Mobberly’s youth ministry was dedicated. Beginning in 2006, the children’s building experienced a complete remodeling, which was finished two years later. In fulfilling the mission, a third worship service was added in the fall of 2007. Then to provide more space for children and adult small group ministry, discipleship and fellowship, a three-year capital campaign entitled, “The Bridge,” was launched in September of 2008. In 2010, a foyer expansion providing additional gathering space, coffee bar, hospitality room, and covered drop-off area was completed. In the spring, a fourth worship service began in the renovated Gym, which became The Crossing, at 9:30 a.m. in HD simulcast. Also, construction began on a two-story educational building for children and adults, called The Bridge. In conjunction with growing locally, Mobberly launched a new church plant in Anchorage, Alaska in the fall of 2010. True North Church was planted by Pastor Brent Williams in partnership with Mobberly as a first generation church plant. True North has grown to an average attendance of over 200, launched a second site, and is 3rd in baptisms among Baptist churches in the Alaska Baptist Convention. Mobberly’s second church plant was launched in Spearfish, S.D., in 2011 under the leadership of Pastor Doug Hixson. Connection Church has grown to an average attendance of over 200, relocated to a larger facility, began a second service, and has planted a second church in Belle Fourche, S.D. Mobberly’s third church plant was launched in Preston, England in 2012 under the leadership of church planting pastor, Jason Green. Heritage Church is growing weekly and baptized its first new converts in March of 2013. Mobberly continues to partner with church plants financially and through sending short-term volunteers to help with evangelistic outreach efforts. In 2011, a fifth Worship Service was added in The Crossing. In December, the 55,000 square-foot ministry building, The Bridge, was completed and was opened in January 2012. The church began a new Capital Campaign in April called, “Crazy Big Mission,” to reduce debt, provide funds for expansion, and fund local and global mission opportunities. In June, the church voted to purchase 87 acres of land north of the campus to expand current ministry opportunities and provide for future growth. In the fall of 2012 the church welcomed its first church-planter in residence and in May of 2013, Randy and Jilanna were sent out to San Francisco to launch Mobberly’s fourth 1st Generation Church Plant in San Francisco, CA LifePoint Church. 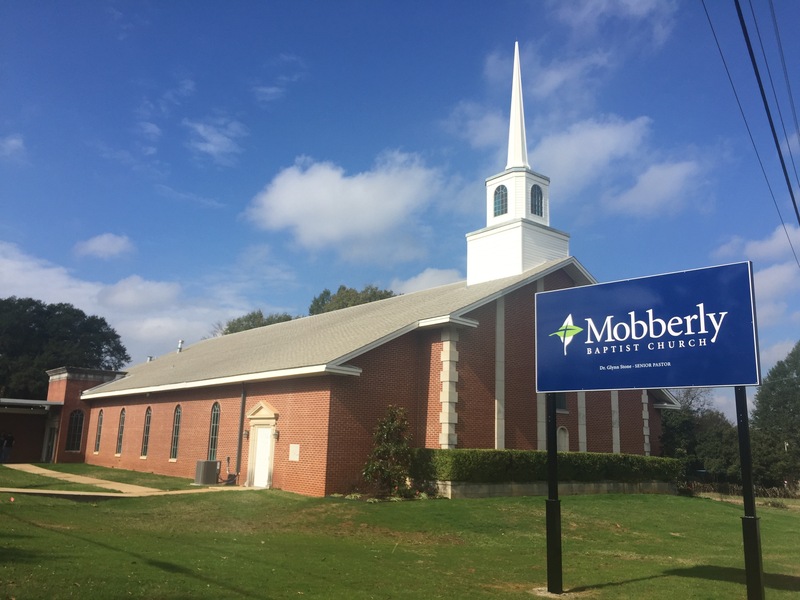 Mobberly opened its second campus at the Marshall Convention Center in Marshall, Texas, in the spring of 2014. Later, the members of Bel Air Baptist Church in Marshall graciously donated their building for the use of the Marshall campus. In October of 2017, after significant renovations were completed, Mobberly’s Marshall campus began meeting at their new location, 101 W. Carolanne Blvd. in Marshall. The renovations to the Marshall campus were part of a larger campaign Mobberly began in the Fall of 2016. The Engage10K initiative, and subsequent capital campaign cast a vision for Mobberly members to engage 10,000 households in East Texas by 2020. Engage10K furthered our mission of being people leading people into a life-changing, ever-growing relationship with Jesus Christ. The Engage10K Capital Campaign outlined four major projects. 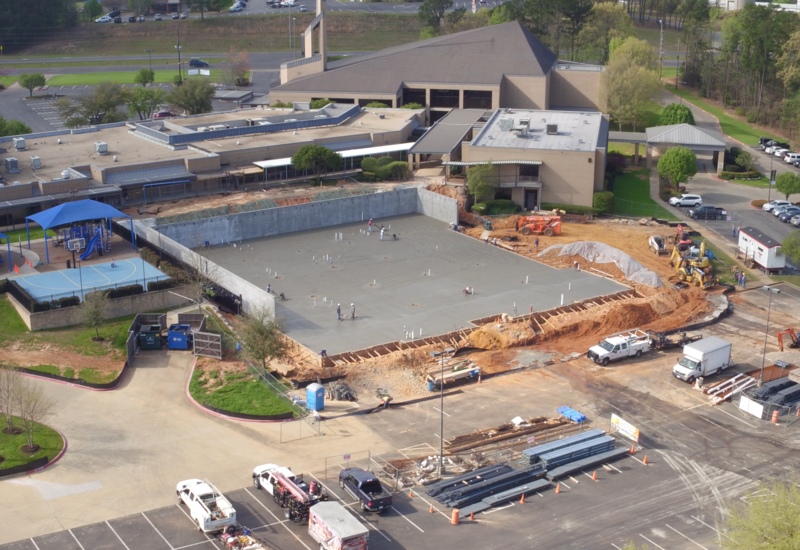 In 2017, the Longview Worship Center was updated. The new Marshall campus building was renovated. A new preschool building that will provide over 18,000 square feet of new space broke ground in September of 2017. And many improvements were made to the sports fields, and land around Williams Lake. After the renovation of the Longview Worship Center was complete, the additional seating allowed Worship Gatherings in The Crossing to be recombined into the Worship Center. Mobberly En Español and Mobberly’s college ministry moved into The Crossing, freeing significant education space for continued growth. The new Longview Worship Center Worship Gathering schedule included blended music led by choir and orchestra at two early services and modern music led by a band at a late service.